With a population of 800 Dolores,Colorado has a warm welcoming feeling and makes a great place to raise a family in a laid back atmosphere. The proactive citizens of Dolores have introduced many new projects that are transforming the landscape as we know it. In 2004, Dolores opened a new riverfront library with a wall of glass facing the Dolores River. In the same year they opened a riverfront post office next to the library and established a walking trail along the Dolores River connecting to Joe Rowell Park. Dolores’ new riverfront walking trail creates a loop through the park and into town. 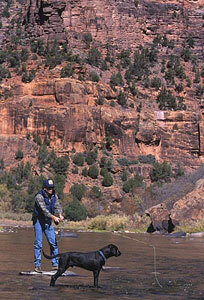 The Dolores River has been re engineered for fly-fishing creating eddy pockets throughout Dolores’ two riverfront parks. In 2003 the town built the best playground in the Four Corners. This was a community effort, hundreds of towns people came together to complete the project. Dolores’s Riverfront parks offer visitors a variety of activities to choose from. There are Baseball fields, soccer field, basketball courts, sand volleyball courts, playground, horseshoe pits, picnic areas, fishing and much more. This park is a wonderful place to spend a summer afternoon by the Dolores River. The small town of Dolores Colorado has a setting out of a Norman Rockwell painting. 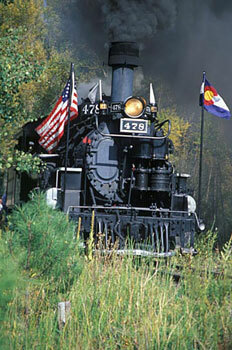 This railroad town got its start as a trading post and loading station supplying the mining communities of Telluride and Rico. Today it survives due to the abundant recreational activities at its door step. Dolores is located in the Dolores River Valley directly on the Dolores River. The town sits at the edge of McPhee Reservoir the 2nd largest body of water in Colorado. To the North lies a vast stretch of public lands encompassing millions of acres which are a part of the San Juan National Forest. These resources offer abundant opportunities to take advantage of the great outdoors of Southern Colorado. Many towns folk were drawn to this town for these very reasons and live a very active lifestyle. Activities include: Fishing, fishing, fishing, boating, swimming, hiking, biking, river sports, hunting and many more. R Rio Grande Southern Railroad Museum. Lizard Head Pass and Telluride Ski Area. 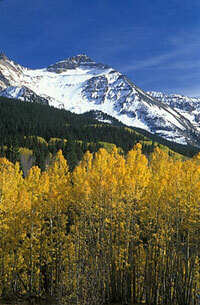 Pagosa Springs Colorado is located at the eastern edge of the San Juan Range and the San Juan National Forest. As its’ name suggests Pagosa Springs is centered around a geothermal formation creating hot springs throughout this mountain community. Pagosa’s main hot spring formation sites directly in the middle of downtown on the edge of the San Juan River. This beautiful hot springs resort has over 15 pools of varied temperatures that flow from one to another until they drain back into the San Juan River. Pagosa Springs is filled with water features including many lakes, rivers, streams and hot springs. 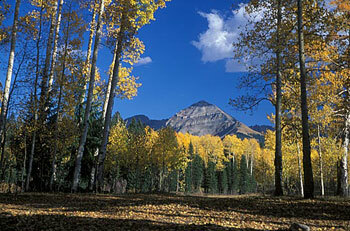 Pagosa sits in the center of a large Ponderosa Pine Forest and got its start has a logging community. 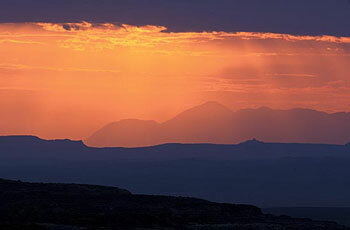 It has a population of 6,000 located at 6,500 ft above sea level. 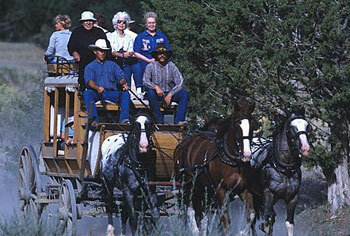 Pagosa has a wonderful pace of life and you can see it on the faces of this friendly community. Activities include:Great fishing, hunting, hiking, biking, boating, golfing and many more. 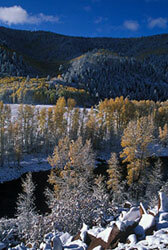 www.townofpagosasprings.com Points of Interest: The Pagosa Hot Springs Wolf Creek Ski Area, Wolf Creek Pass, Williams Lake, The Piedra River Gorge, Weminuche Wilderness Area. Lone Mesa State Park is located above Dolores Colorado and will not officially be opened until 2008. The recreation area will facilitate camping, ATVing, hiking and much more. The remote location is nice for visitors looking to get away, far away! McPhee reservoir is the 2nd largest body of water in the state of Colorado and is located just outside of the town of Dolores. The reservoir is feed by the Dolores River from the North and is abutted to the San Juan National Forest. It offers excellent boating, fishing, canoeing and kayaking. Summit Reservoir is located halfway between Mancos and Dolores. It is a smaller reservoir offering boating, fishing, picnicking, and hiking. Joe Moore Reservoir sits in the tall pines North of Mancos. It is very small, but has excellent fishing. It also offers camping facilities, picnicking and is surrounded by National Forest. 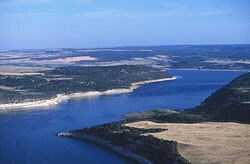 Pruett Reservoir is the smaller sister to Summit Reservoir which it is located just west of it. It offers boating and fishing with paved public access. Totten Lake sits 5 miles due east of Cortez. This reservoir has expansive views of Mesa Verde and The Sleeping Ute Mtn. The lake offers a tranquil environment just outside Cortez Colorado. The North side of the lake has a wildlife preserve and draws all kinds of water fowl and traveling birds taking a rest. The fishing is great. Facilities include has paved public boat ramp. Narraguinnep Reservoir is located off of Hwy 184 west of Dolores Colorado just below McPhee Reservoir. This circular reservoir offers good boating, water skiing and fishing. 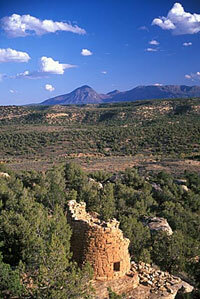 The Anasazi Heritage Center is located on Hwy 184 just 5 miles west of Dolores. This Museum houses Native American artifacts that were removed from the Dolores River Valley before its inundation creating McPhee Reservoir. 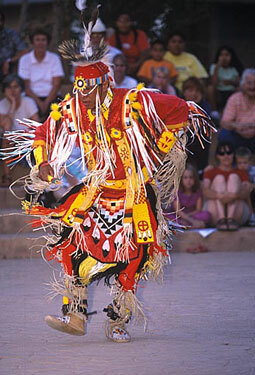 While visiting, learn about the diverse history and cultures of the Pueblo Ute and Navajo tribes. Activities include: Films, hands on activities, permanent exhibits, traveling exhibits, picnic area, nature walk and archeological sites. ADMISSION: $3 Adults during March-October17 & under free. School groups free. 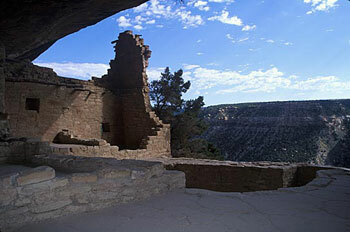 Mesa Verde National Park is located on Hwy 160 just 10 miles east of Cortez. The Museum is located 20 miles from the entrance to the park at the Twin Spruce Complex. This museum offers many permanent exhibits and artifacts from the Native American people who inhabited the area. Activities include: Films, Hands on Activities, Permanent Exhibits, Traveling Exhibits, Picnic Area, Cafeteria, Nature Walks, Archeological Sites and Bookstore. The Crow Canyon Archeological Center is dedicated to understanding, teaching, and preserving the rich history of the ancient Pueblo Indians who inhabited the canyons and mesas of the American Southwest. Since 1983, Crow Canyon researchers have studied in detail the archaeology of the Mesa Verde region and shared the results of this research in experiential education programs. Thousands of people of all ages have been actively engaged in learning about the past in Crow Canyon's exciting hands-on programs. Their campus-based programs incorporate current research findings from field excavations and allow you to participate in the actual research process. Traveling programs in the Southwest and beyond give you an opportunity to learn about the archaeology and cultures of other areas. Crow Canyon's commitment to involving Native Americans in many of our programs as students, teachers, scholars, and consultants adds greatly to your educational experience. Come experience a trip back into time and learn a special Native American interpretation of the culturally diverse homelands of the Ute Mountain Ute Tribe. Spend time in the Ute Mountain Tribal Park with one of our knowledgeable Native American Ute tour guides. Guides interpret Ute* Indian History, Ute pictographs, geological land formations, and Ancestral Pueblo* petroglyphs, artifacts and dwellings. The half-day tours will visit Ancestral Pueblo petroglyphs, scenic lands, Ute pictographs panels, geological land formations and surface sites. All sites on the half-day tour are within a short walking distance of the gravel road. The full-day trips require additional time and effort. Including a three-mile walk back in time on unpaved trails and climbing of five ladders to visit four well preserved canyon cliff dwellings in Lion Canyon. A round trip drive on gravel and dirt roads from the Tribal Park Visitor's Center is 80 miles for the full day tour and 40 miles for the half-day tour. Check in time is 8:30 a.m. and departure is a 9:00 a.m. Tours begin at the Visitor Center/Museum 20 miles South of Cortez Colorado at Highway Junction 160/666. West side of the Chimney Rock. Established in 1965 as the San Miguel County Historical Society, the Museum operated for more than 30 years within an 1896 historic landmark hospital building. A meticulous restoration project was funded in 1995 through a Town of Telluride voter-approved bond measure and several historical grants. In 2001, the Museum was the recipient of the Steven H. Hart Award, the Colorado Historical Society’s highest honor for outstanding contribution to historical preservation. Today the Museum serves as a cultural and historical anchor for the town, providing a sense of community in the face of the town’s unprecedented growth and change. During the six-year closure to restore the old hospital building, the board and staff created a blueprint for using the eclectic collection of 20,000 artifacts and 2000 historic photographs in contextual settings to tell the story of Telluride’s history. The Grand Circle is the world renowned loop that takes you through all of the National Parks located in Southern Utah, Colorado and Northern Arizona. This quest will take several weeks to complete and is well worth the effort. During your travels you will become familiar with the best the west has to offer. Rolling desert landscapes, dramatic sandstone canyons and amazing rock formations are just the tip of the iceberg so to speak. This journey will take you to the Grand Canyon, Zion National Park, Bryce Canyon National Park, Lake Powell, Capital Reef National Park, Canyonlands National Park, Arches and Mesa Verde National Parks. This part of the country is truly indescribable and is a must see. BLM site has info on hunting in Colorado.